Insecurities about nose shape and positioning are among the most frequent reasons patients say they don’t like their appearance. There is a solution offered through rhinoplasty, which can change the nose size, profile, and width. Matt Goldschmidt is a cosmetic surgeon in Ohio who has met with hundreds of patients. Insecurities about nose shape and positioning are among the most frequent reasons his patients say they don’t like their appearance. There is a solution offered through rhinoplasty, which can change the nose size, profile, and width. The shape of nostrils can also be reconfigured through this surgery. Before committing to cosmetic surgery, you should make absolutely sure that you are doing it to restore confidence in yourself, not to meet someone else’s expectations. Nose surgery should only occur in individuals who are fully developed. As always with cosmetic surgery, do your research on what the work can do for you. It is essential that you don’t move forward with unrealistic expectations about what the operation will achieve. Patients will be under anesthesia for the entirety of the surgery. Incisions can either be made on the inside or outside of the nose depending on what is necessary for that particular surgery. Tissues are then raised in order to reshape the nose. If extra tissue is needed, it is often taken from the septum. Once the incisions are closed, splints and tubes are utilized in order to stabilize the structure of the nose as it heals. These remain in place for approximately one week. It may be a year before the nose returns to normal function, as swelling may still occur months after surgery. After a year, swelling should go down for good, revealing the full results. 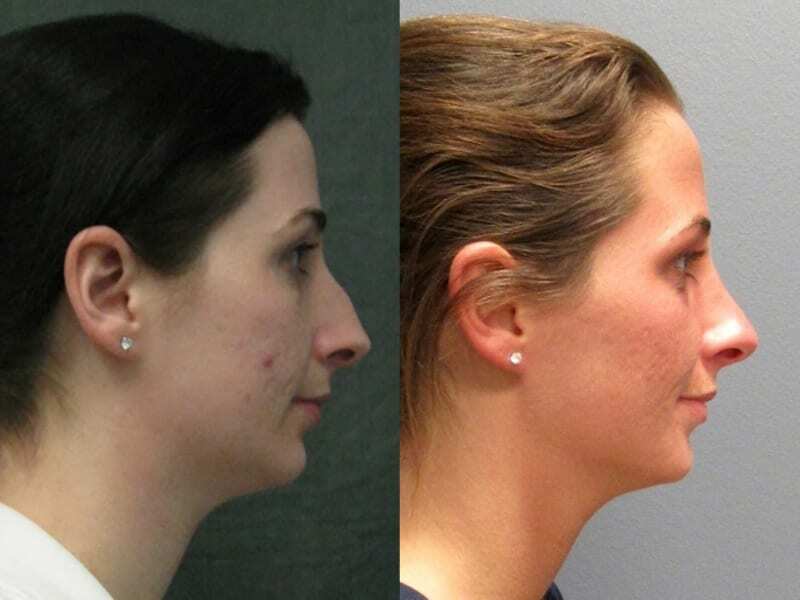 For more information about Rhinoplasty / Nose Reshaping or to schedule your Rhinoplasty / Nose Reshaping consultation with Dr. Matt Goldschmidt, please call (216) 350-3175.